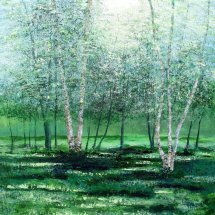 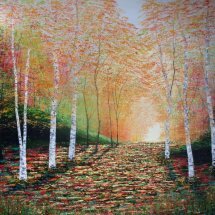 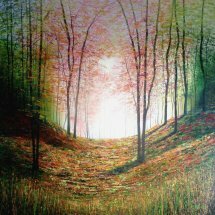 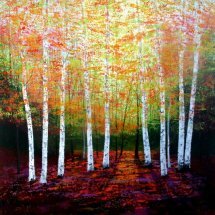 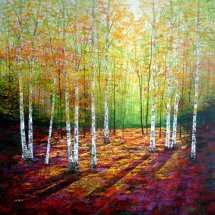 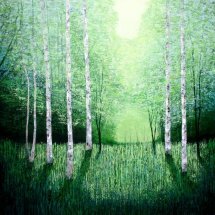 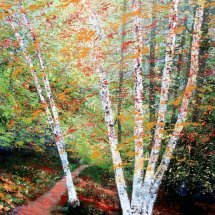 This painting captures the warm colours of a wood with birch trees in Autumn. 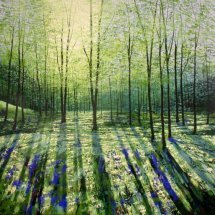 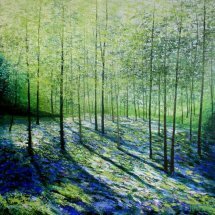 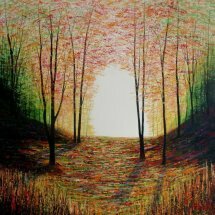 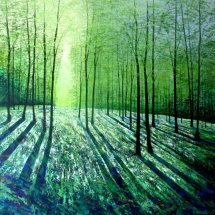 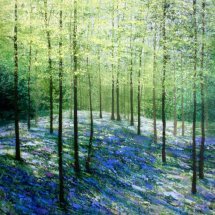 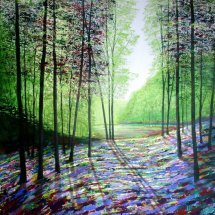 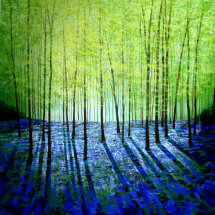 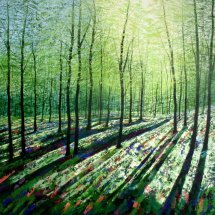 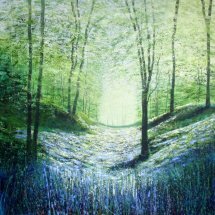 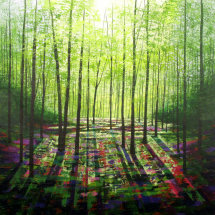 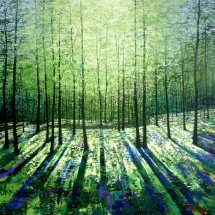 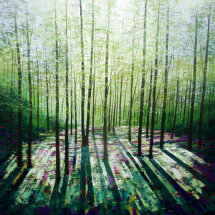 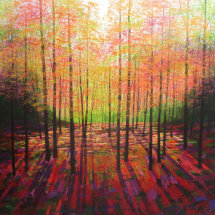 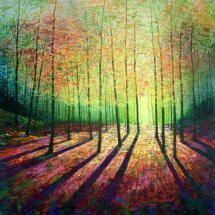 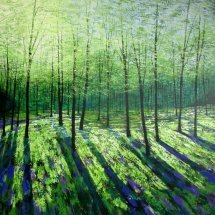 Golden light urges the viewer to wander down the path through dappled shadows and glowing colours. 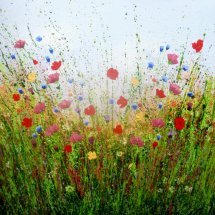 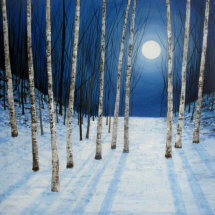 It is painted on a deep edged canvas, the sides are white. 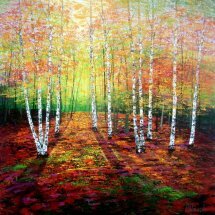 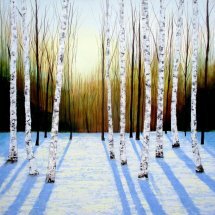 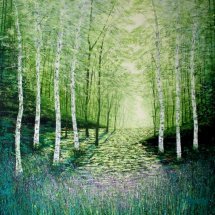 "Mellow Tones, Sunlit Birches" is ready to hang and looks beautiful displayed without a frame. 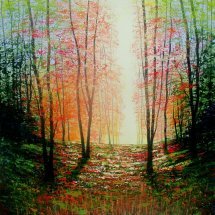 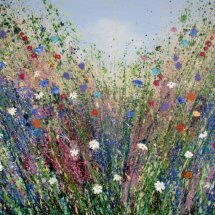 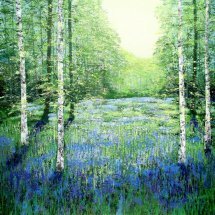 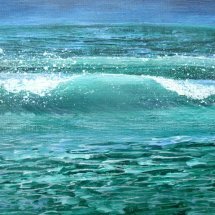 I use impasto techniques applied with a palette knife, which creates a contemporary painting. 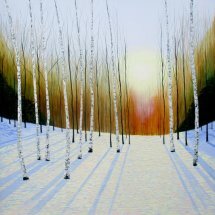 The edges are white.